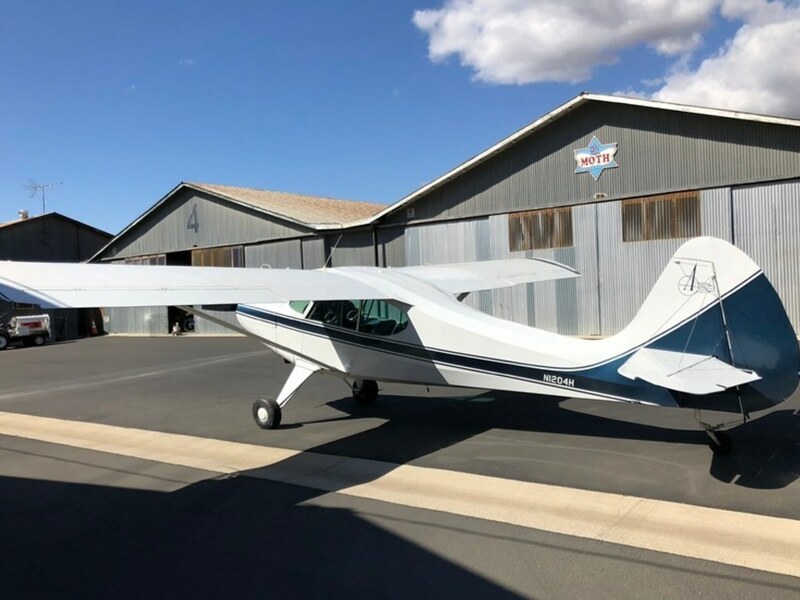 After much deep thought and finally deciding what I really wanted in an airplane, I found an Aeronca Sedan in Southern California and bought it. About 2100 TT, 1000 SMOH, and only 7 hrs STOH with new Continental cylinders. Was upgraded to an O-300-D so it has a vacuum pump and a full six pack in the panel. Garmin GNC250 that's quite serviceable coupled with my iPad and Garmin Pilot app. It has worked out amazingly well as just this month I transferred my work base to LAX so I was able to rent a car and drive up and check it out. I'll be heading back to pick it up on the 20th and flying it to Reno where I'll hangar it until May and then fly it to Alaska. OF COURSE bigger tires are in the works. Congratulations again! Careful of those "little winter recover" projects. I'm working on one right now....started in the winter of 98. No!!! lol It'll be an in and out type deal for me! That's the way to do it. Take off the fabric, fix everything underneath that really needs fixing, recover and get it back in the air. Don't do what I did and say, "while I have the fabric is off I might as well...(long list that keeps getting longer)" The more a project gets dragged on the more life is apt to interrupt it. I have the same situation. I have no problem doing dollar patches occasionally. I love the wet look of the enamel and I try to polish the paint every year. It pays off as the wings shed snow much easier than most. Congrats on the sedan. They are a very roomy hauler. A nice flying plane with some fabric boo-boos,,, is always better than one that is disassembled out in the shop. The fabric is in very good shape, probably won't even touch it for a couple years. Looking forward to putting a bunch of hours on it!